Time to address the small elephant in the room. 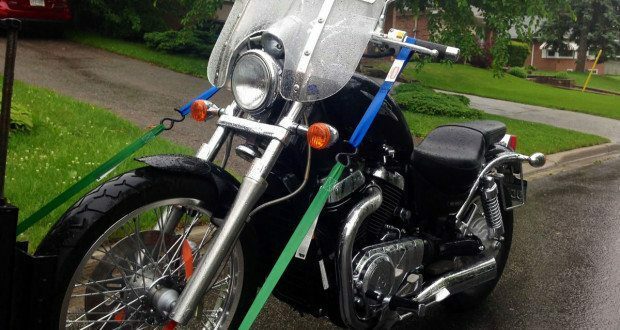 YouMotorcycle now offers motorcycle towing in Toronto at a heavily discounted price. It’s not a means of making of living. It’s not a business either, nor is it meant to be. 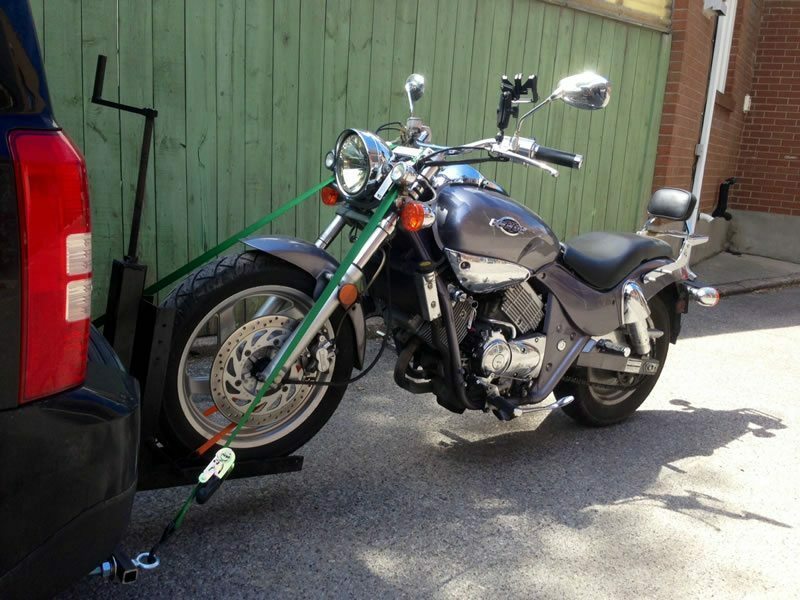 Now that I have a motorcycle trailer it’s a way of helping local motorcyclists who may have gotten themselves into trouble and need their motorcycle towed home. They’re hopefully alright, but are about to spend a lot on parts, so they deserve an inexpensive ride for their babies. Or, if we want to be more optimistic, they’ve just bought a new ride and would rather spend more money on parts than on an expensive motorcycle tow ride to get it home. Now comes the question: How much does it cost? I’m only charging $50 for anywhere in (or relatively close to) the City of Toronto core. From the lake in the south, to Steeles Ave in the north, and from HWY-427 in the west to Warden Ave in the east. My trailer is designed specifically and uniquely for motorcycle transportation. If you need motorcycle towing in Toronto, contact me. I don’t have a fleet, I’m simply a guy with a Jeep and a non-enclosed trailer. Your bike won’t arrive dry and clean if it’s a wet day outside, but it will arrive safe and sound. I first towed my own 250cc and 800cc motorcycles with my trailer for a week and then thought, “This is easy. Why are motorcyclists being charged so much for motorcycle tows?” Using a four cylinder engine is also helpful to keep my gas prices down. Other options do exist, such as CAA Plus and MotoLimo, but one is more expensive than the other, and both are at least twice the price. If your rear tire is flat, I can’t help you. The bike will roll on its rear tire, so it must be able to stay in Neutral. I called for a tow after my Vespa broke down on the road, and within 30 min. Adrian was at my door. Super friendly, and even offered to drive back from the garage to pick up the keys I had forgotten to give him, and deliver them to the garage. Amazing! I hope I never have to, but will definitely use his towing service again. I was in need to pick up my Suzuki M50. Easy booking, fast response, reasonable price. Bike was delivered with big care. Definitely recommend this service.